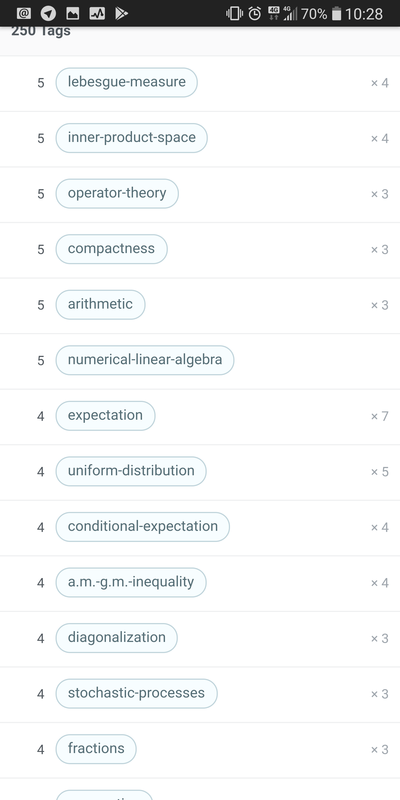 In Expectation means average?, I proposed to synonymize expectation and expected-values. A moderator has done this. 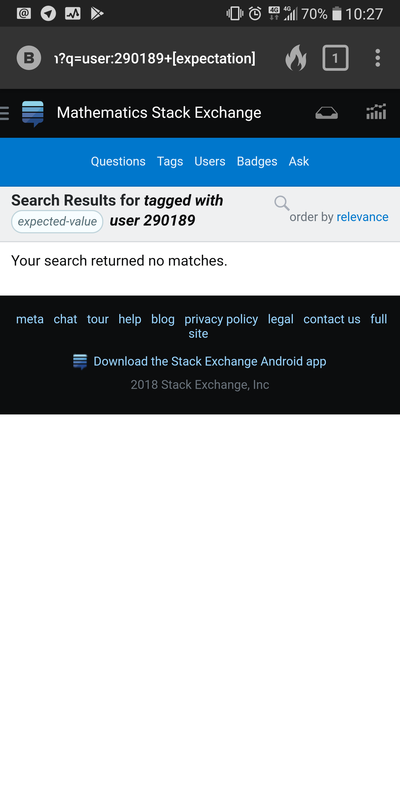 When I view my tag scores in my profile and clicked on expectation, I can't see any posts. This is browser-independent and tag-specific, as I got the same problem across devices and browsers, but this only happens for expectation. Perhaps I have to use SE's database to retrieve my expectation questions? 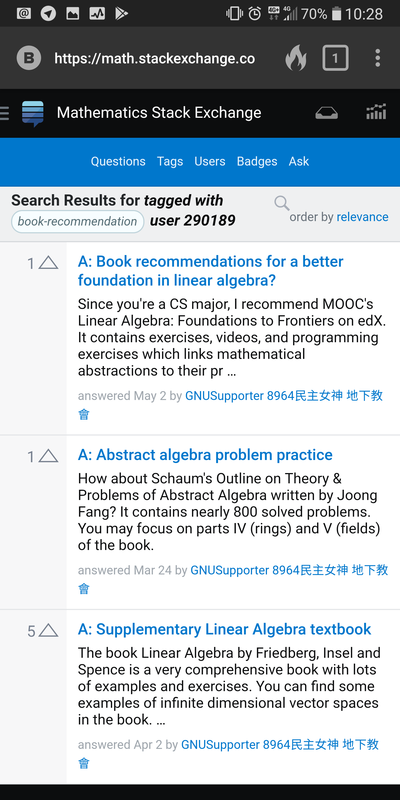 Browse other questions tagged support bug tagging user-interface user-profile . Math Processing Error in solution.